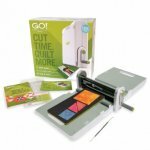 AccuQuilt- GO die cutting- Quilting made easier. We meet the 1st saturday every month(except on Holiday weekends) Come join the fun- learning about all the dies and projects. Janice is our GO Girl- membership is $20 per year- due in August each yr.